Birdhouse Plans and Ideas – Do you love seeing birds fly in and out of your yard? For many homeowners, a birdhouse is a good addition to their yard as it provides a safe haven for their feathered friends. It’s also a place for birds to raise their young. Birdhouses can also be a good do-it-yourself project; something that even a person with limited DIY skills can pull off with the best birdhouse plans. A testament to how easy it is to put up your own birdhouse is the fact that there are many kid-friendly birdhouse plans available. Yes, that’s right, even a grade schooler can build his or her own birdhouse given the right tools and instructions. Building a birdhouse is a fun activity to do with your child. Whatever design you intend to have for your birdhouse plan, there are several things to keep in mind. Find out what bird species are in your area. This is essential. Different areas and climates attract different types. From there, think about the kind of birds you actually want to attract. Perhaps you are hoping for colorful cardinals or fascinating hummingbirds. Maybe you want to attract birds that eat mosquitoes. Keep in mind the birds you want when you are considering how large or small to build your birdhouse. Building your birdhouse accordingly will increase your chances that the birds you want will find your birdhouse. Be sure the size of the house is appropriate for the type of birds you want. The inside dimensions must also be large enough for the adult bird and the growing young. The size of the entrance hole is equally important. If it is too small, the bird won’t be able to get inside the birdhouse. If it is too big, then there’s the risk that predatory birds and animals could get inside the birdhouse which could spell trouble for your feathered friends. As for the material, wood is the best. It provides the best insulation. Other materials such as plastic and metal may not be able to insulate the nest, which can make the eggs or young birds overheated in sunny weather or chilled in the cold. Use galvanized nails which won’t rust. If you choose to paint the birdhouse, use dull colors to easily blend in with the surroundings. As fun as it is for a child to paint a birdhouse in their own creative way, keep in mind predators when you paint birdhouses and nest boxes with colors. Regardless of the style you come up for your birdhouse, you would want it made from materials that can stand up to the weather. As mentioned earlier, wood is the best material for a birdhouse. It’s natural and won’t overheat. You can opt for cedar which is affordable, readily available at home improvement centers, and can last for years even when left outdoors. Pinewood is another excellent option. For most birds, the floor of the birdhouse should be at least 4 inches by four inches. Bluebirds, meanwhile, need a slightly larger floor measuring five inches by five inches. The entrance hole should be at least 1 ½ inches, which is of the right size for native birds to enter but small enough for European starlings and house sparrows to come in. The entrance hole should be at last five inches above the floor of the birdhouse. The roof, meanwhile, should be over-sized. It must extend over the house so that it can shed rainwater away from the entrance. There is also the likelihood that rainwater will still find its way inside the nest box even with an overhanging roof. So you should put drainage holes in the bottom of the birdhouse. Along with narrow gaps under the roofline, these holes will also keep the birds comfortable during warm weather as air circulation should be good inside the nest box. Another important consideration in building a birdhouse is hanging it at the right height. The general rule of thumb is that the birdhouse should be at least five feet above the ground. It must also be placed several feet away from bushes where predators like cats can hide. The birdhouse should also have several food sources for its tenants. It would be great if you place it in a yard with native flowers and shrubs that produce seeds and berries. Or add plants in the garden that can attract insects which the adult bird and its hungry young can feed on. Novice and experienced woodworkers can also make their own handmade birdhouses. The beauty of birdhouses is that you can use recycled or scrap lumber along with tools such as hammer, nails, and cordless drill. Get a pinewood board that measures 18 inches in length and two shorter boards that are cut at an angle. This would be for the roof that will have a downward angle, letting the rainwater to drain off. Next, cut two pieces with identical lengths and attached these to the backboard using an air-powered nail gun. Alternatively, you can use hammer and nails to attach the side pieces to the board. After attaching the two sides to the board, attach the bottom part of the birdhouse using two nails. This would secure the two sides to the bottom piece as well. Once you attach the sides and bottom to the board, you will install the roof next. As mentioned earlier, it should be slightly wider than the body of the nest box so that the animals will be protected against the rain. The final element of the birdhouse is the circular entry door. An opening of 1 ½ inches in diameter should be enough for finches and bluebirds to get into. It would also be small enough to prevent predators and hunters from entering. Use a hole saw for this. But if you’re really not confident with your carpentry and wood making skills then you can look for a birdhouse kit. A birdhouse kit has everything you need to build a nesting place for your feathery friends. It includes the wood pieces as well as the tools you need like paint brush, nails, and glue. Moreover, you will get detailed instructions on how to build the nest box. In fact these birdhouse kits are very easy to build that there are models designed particularly for children as young as five years old! What’s also good about buying a kit is if you like it, you can make others like it using it as a guide. When shopping for a birdhouse kit, you must also look into the inclusions of the product. One would be the mounting device as it is easier to mount the nest box if there is a bracket or hanger for pole mounting or hanging. This would save you time and spare you of the hassle trying to figure out how to install a mountain hardware into the birdhouse. Also, the birdhouse should have one side that opens. This would give you two benefits. One is that it will make it easier for you to access the interiors, which is important for cleaning out the birdhouse once the birds have left it completely. Also, you can look at the inside the box whenever you want. There are many nest box ideas that you can look online for the birdhouse that you are planning. You can go for the traditional box house with a slant roof, a round hole in the front, and peg perch. 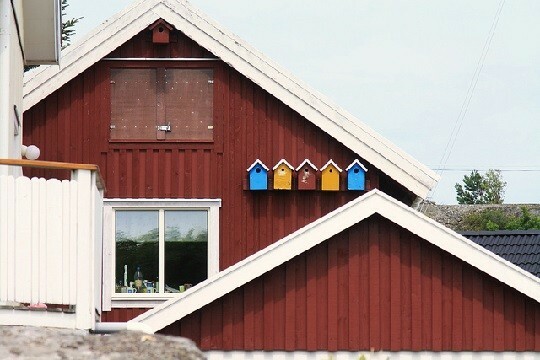 This birdhouse design can house any kind of birds. What makes it attractive to birds is the size of the hole, so you should cut a hole that is comfortable for the animal to get in. A platform or open box is a simple to build birdhouse. It’s a three-sided nest box that can be hung in the backyard, attracting birds to come and raise their young ones. Then there are the decorative birdhouses that are used more for aesthetic purposes. This type of birdhouse isn’t really designed to attract a particular type of bird. While a decorative nesting place can enhance the look of a garden, it can also be infiltrated by unwanted species like rodents. The birdhouse design may also be affected by the birds that frequent your backyard, or are rampant in your area. For instance, a woodpecker would likely stay in a box that is filled with sawdust or wood chip. The house for this type of bird also known as Northern Flicker should be placed high on the tree trunk, and placed in direct sunlight. Doves, meanwhile, love to settle at birdhouses with twigs, weeds, and grass. The nest box should also be placed high, at least seven feet from the ground. It should be with partly open sides to attract doves. It’s also not uncommon to see flinches. This type of bird is common in cities and towns. These birds aren’t picky when it comes to birdhouses, as they can settle in open platform designs as well as enclosed boxes. But you should place some extra wood at the entrance or mounting on a pole to provide a safer and attractive nesting place for the flinches. Wrens are probably the species that prefer to nestle in a place closer to the ground. 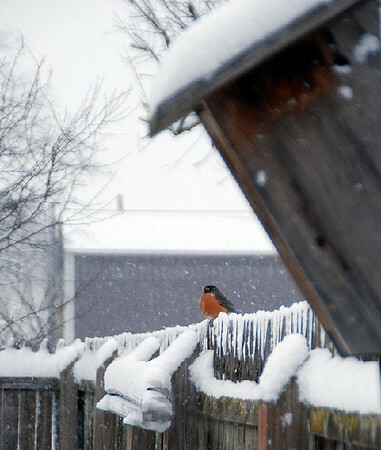 If this is the type of bird that mostly frequents your area, then you should construct a birdhouse that is less than 1 ¼ inches in diameter. You will also have to consider if you want sparrows in the birdhouse. If not, you may want to make it even smaller. Indeed, a birdhouse is one great addition to your backyard. Whether you intend to build your own or buy a birdhouse kit, you won’t regret putting one in your garden. It’s a fun project and perfect for kids to help with. Oftentimes park districts or nature centers offer a class to make your own birdhouse. This is geared generally for children but adults can learn as well. Whichever birdhouse design and style you choose, the most important thing is it will provide for a safe space for the bird’s eggs and chicks as they grow. In turn, you get to look forward to birdwatching. Rural Living offers many kinds of greenhouse kits, bird houses, mini greenhouse kits. I am so thankful for what you have shared about birdhouse ideas. There are two things here that caught my attention. First, it is when you said that the general rule of the thumb that they should be safe from any predators. I agree with that, these birds must not only feel comfortable with their houses but also safe. And second, that the birdhouse must also have food sources, so they can keep on coming back.